A Japanese drummer who went missing on Thursday (28 February), has made contact with his family and is safe and well. 19-year-old Sho Teshigawara from the Yamato Drummers was reported missing after he was last seen around 6.30pm in Dorking. The Yamato Drummers are aware he has been located. 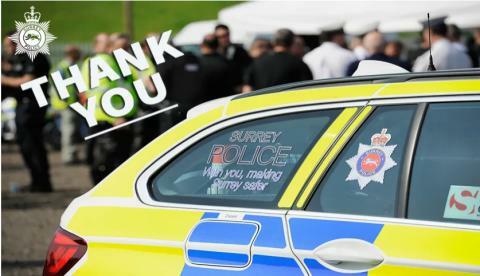 We would like to thank everyone who assisted us with the search.